A garden of gorgeous blooms and petals. 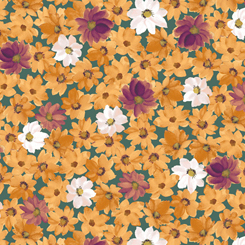 These soft florals have a vintage flair with great tonal color coordinates. Lilian is pretty and perfect for springtime home décor, apparel and accessories.